If you look up binary options online, the search results page will, unfortunately, largely consist of scammy results and also a sprinkling of articles on different sites urging people to stay away from binary options on the basis that it is “gambling.” It’s easy to get a mixed impression of binary options trading from this, since if you look at those scammy results, you might get the same vibe those cautionary writers received. Is binary options trading gambling, or investing? Is it safe? Wikipedia defines gambling as any wagering of money on an event which has an uncertain outcome with the intention of winning more money. That’s a pretty broad definition. You could, in fact, define pretty much any investor as a gambler by that definition, even those people on the floor of the stock market, and even those investors who are so good at what they do that they make a living from it. Indeed, you could even extend this definition of gambling to cover any business venture, since ultimately there is no such thing as a risk-free business. Any time you put down money on starting any venture in the hopes of making more money, you risk losing your starting capital. That’s even true if you’re just trying to open a restaurant or dry cleaner’s. So yes, binary options trading is gambling. But so is everything else. With that in mind, can we come up with a more useful definition of gambling and examine binary options trading in light of that definition? Perhaps a better way of looking at it would be as follows: gambling is any wagering of money on an event with an uncertain outcome without mitigating risk. Risk is one of the few certainties in life—you can’t get rid of it completely. But that doesn’t mean that some risk can’t be managed. 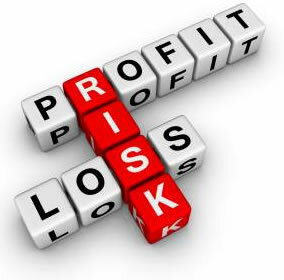 Risk management is an important tool for any serious trader. It’s closely related to money management, which is important for any serious trader or gambler. Let’s consider different types of games you find on the casino floor. A game like roulette has unmanageable risk. There are things you can do to make your bankroll go further (money management), but there’s nothing you can do personally to influence whether the wheel is going to land on red or black. A game like poker on the other hand is something you can directly influence. It still involves risk, but you can do more than manage your bankroll. You can also reduce your risk by applying your skill at the game to influence the outcome. That’s why there are a few professional poker players out there. But there’s no such thing as a professional roulette player. There are roulette players who are responsible and irresponsible, though. That comes down to money management and understanding risk. The only truly irresponsible gambler is one who refuses to acknowledge the risk or manage his or her bankroll. Find out if Binary Options Trading is a high or low gamble with a Free Demo Account at MarketsWorld.com!